When will be MTV Wonderland next episode air date? Is MTV Wonderland renewed or cancelled? Where to countdown MTV Wonderland air dates? Is MTV Wonderland worth watching? For the first time in more than 20 years MTV is presenting a weekly one hour LIVE music show that is anchored by three featured performances that will be diverse, unique and completely exclusive. 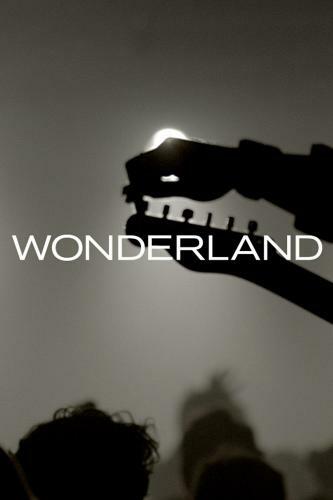 Wonderland will provide a platform for artists to express and reveal who they are in whatever performance or content inspires them to connect with their fans. This show will live and breathe all things music while extending out into the broader world of relevant pop culture news and events. We'll present music and pop culture through a very specific prism anchored in music and framed with a smart, progressive, comedic sensibility. MTV Wonderland is a show that is passionate, sharp, and is about the discovery of music but it's always inclusive and never takes itself too seriously. Downtown Los Angeles' warehouse party; Tove Lo; SWMRS. MTV Wonderland next episode air date provides TVMaze for you. EpisoDate.com is your TV show guide to Countdown MTV Wonderland Episode Air Dates and to stay in touch with MTV Wonderland next episode Air Date and your others favorite TV Shows. Add the shows you like to a "Watchlist" and let the site take it from there.